As members of the Burlingame Scottish Rite, we have the responsibility, duty and honor of supporting the San Francisco and Burlingame Scottish Rite Childhood Language Center. A. Join the 365 Club. Only $250.00 per year. - payment plan is available. B. Contribute in Memory of a departed friend or family member. C. Contribute in Honor of a friend or family member. Attend and take part in the fundraisers that are run by both the Valley of Burlingame and the Valley of San Francisco. Consider a contribution to the Center by way of your will. Besides monetary support, we can and should take part in one of the committees that are formed to coordinate the various fundraisers. Do you have a talent or idea that may help raise the funds needed to keep the Center alive and vibrant? How can you become a member of this special and important club? 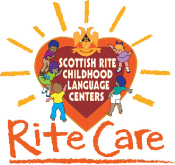 Checks for contributions to the San Francisco and Burlingame Childhood Language Center should be made payable to the Scottish Rite Foundation with the note “SF/Burlingame CLC” on the memo line. Checks may be sent to the following address.